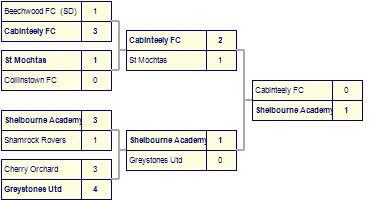 Collinstown FC suffer defeat to Cherry Orchard. 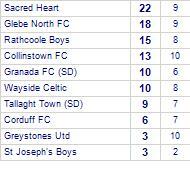 Collinstown FC has yet to win in this competition. 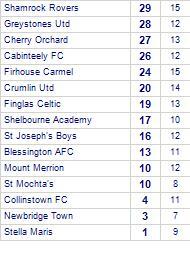 Collinstown FC despatch Crumlin Utd. 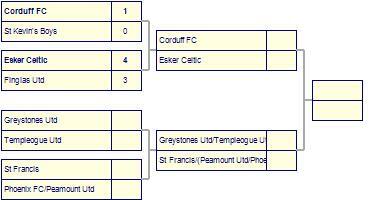 Terenure Rangers B beat Collinstown FC. 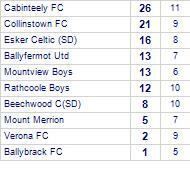 Collinstown FC take spoils against Beech Park. 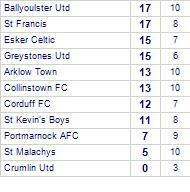 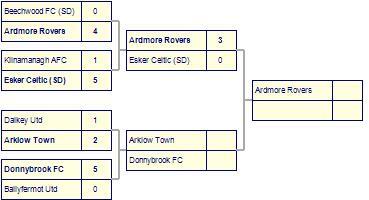 Collinstown FC take spoils against Dalkey Utd. 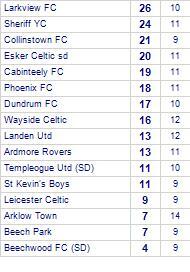 Collinstown FC despatched by Dalkey Utd.